How to draw eyes for man. 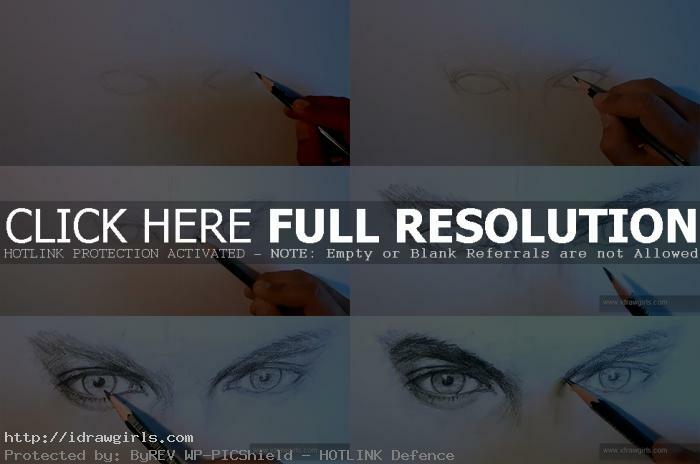 Learn to draw eyes from video tutorial with in depth detail instruction. This drawing lesson will show you how to draw both eyes with drawing video instruction and step by step images to compliment the video. You can also find step by step tutorial by scrolling down further. This tutorial is great for those who want to learn how to draw realistic portraits. You will learn to construct a base sketch, draw over the sketch and shading for realistic portrait. You will be drawing both eyes from front view. This art lesson is suitable for all ages and skill level. This lesson will teach you how to quick construct a sketch, drawing and shading in classical traditional way. Learn to draw portrait and figure with tips from a professional concept artist and illustrator Xia Taptara. 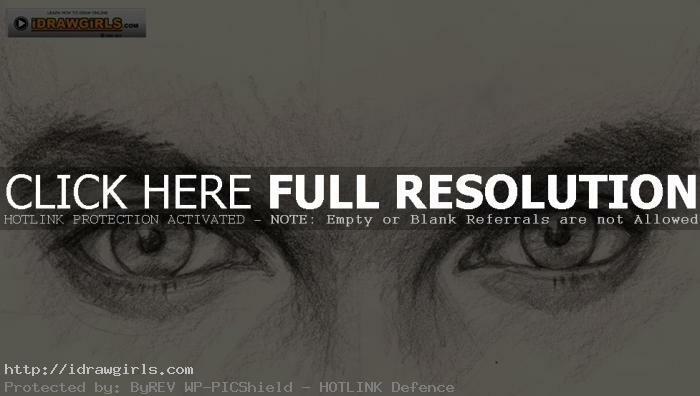 Below are step by step images learn to draw eyes from beginning to finish realistic drawing. Step one, I sketched two almond shapes. The distant between the two equal one of the almond shape width. Step two, I drew darker lines for eyelashes and upper eyelids. Step three, I added eyebrows and iris. Then step four, I begin shading darker value under on the side of the nose bridge and eye sockets. Step five, now I render inside the iris and add pupils. Step six, I keep on shading until the form start revealing. Watch the video tutorial for more detail and in depth instruction. Do you illustrate book covers for novels? Haha! I hope that means I’ve got great observation skills and NOT that I’m some kind of stalker :P.
You are correct! Good work!